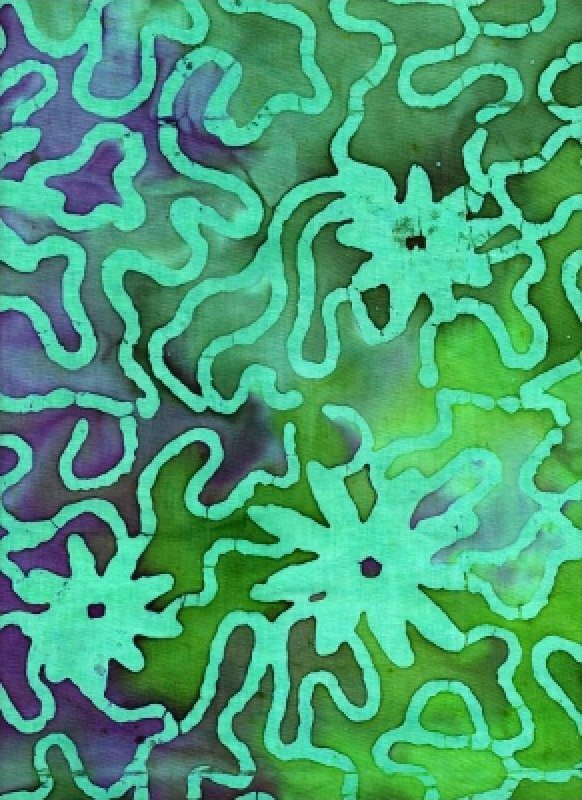 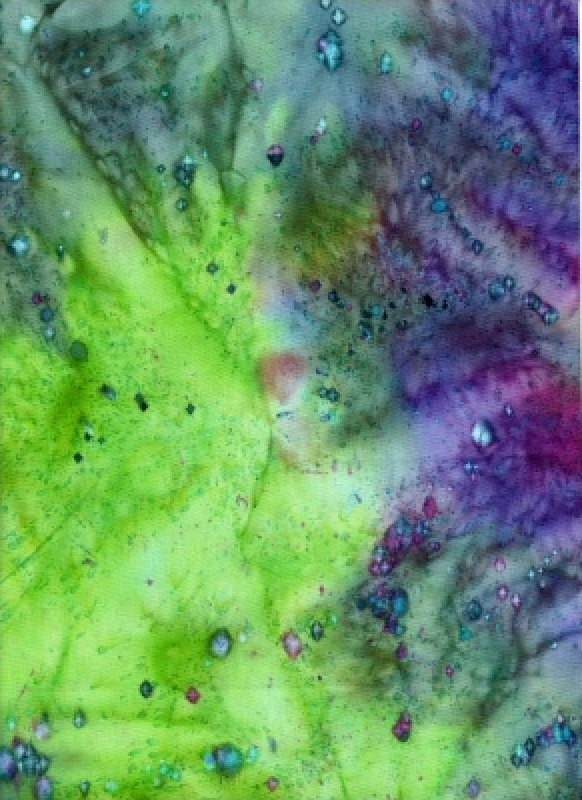 A beautiful hand-dyed batik with a blue/green/hot pink/purple background splashed with rather large areas of gold, and much smaller drops of various colors. 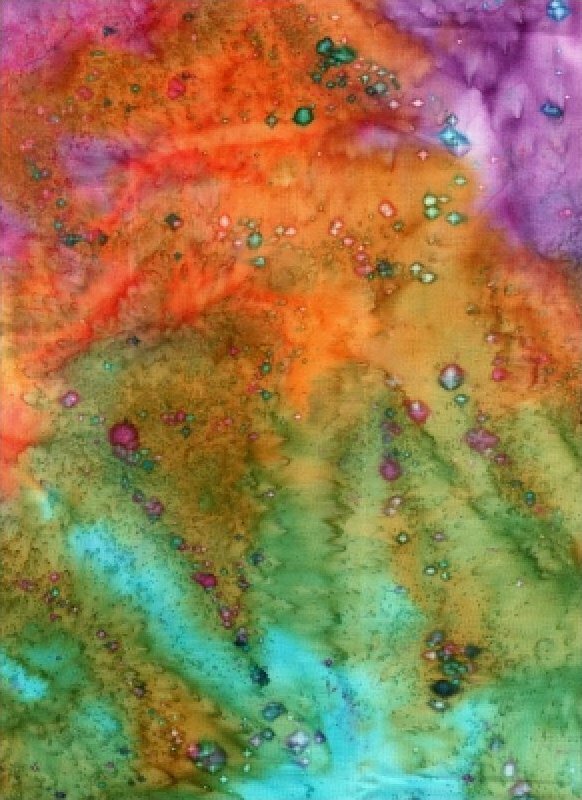 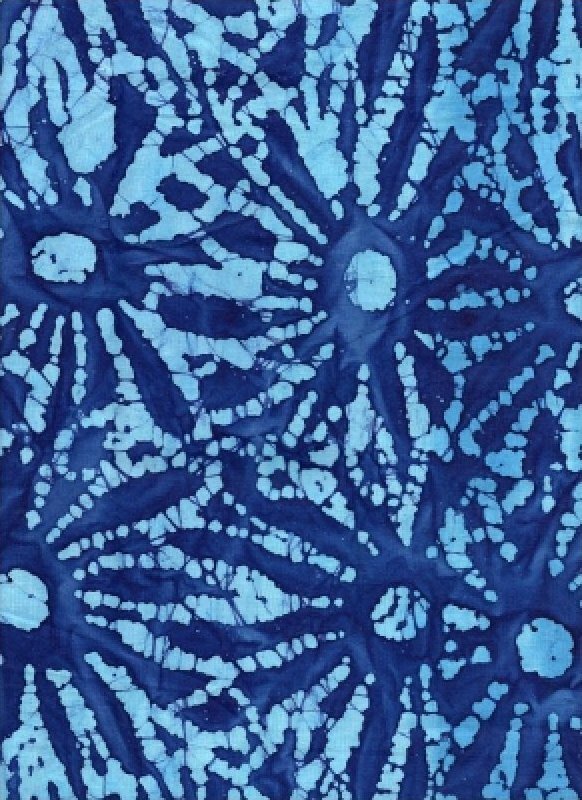 A beautiful hand-dyed batik with a multi-colored background of large splashes of color, with much smaller drops of various colors. 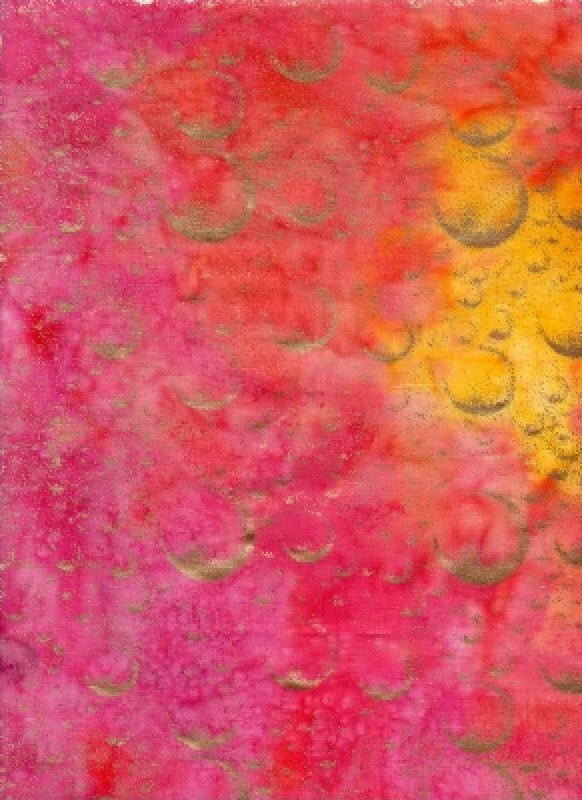 Hot pink/orange/yellow hand dyed batik background with a metallic overlay of gold bubbles. 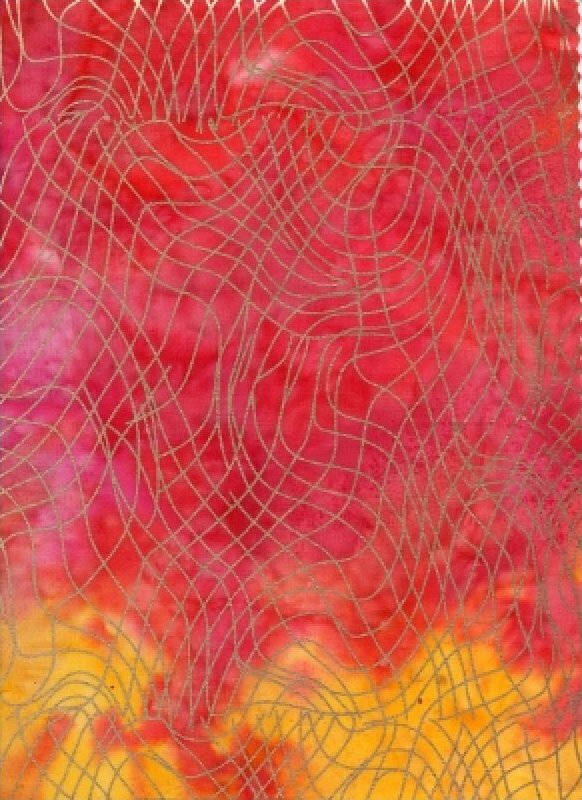 Hot pink/orange/yellow hand dyed batik background with a metallic overlay of gold curvy stripes. 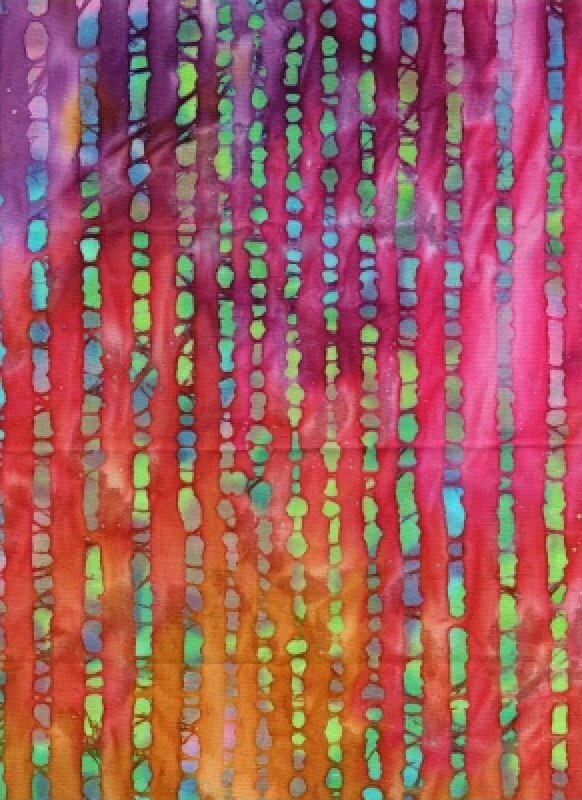 Hot pink/fuscia/aqua/lime background with bright multi-colored broken stripes stamped the length of the fabric. 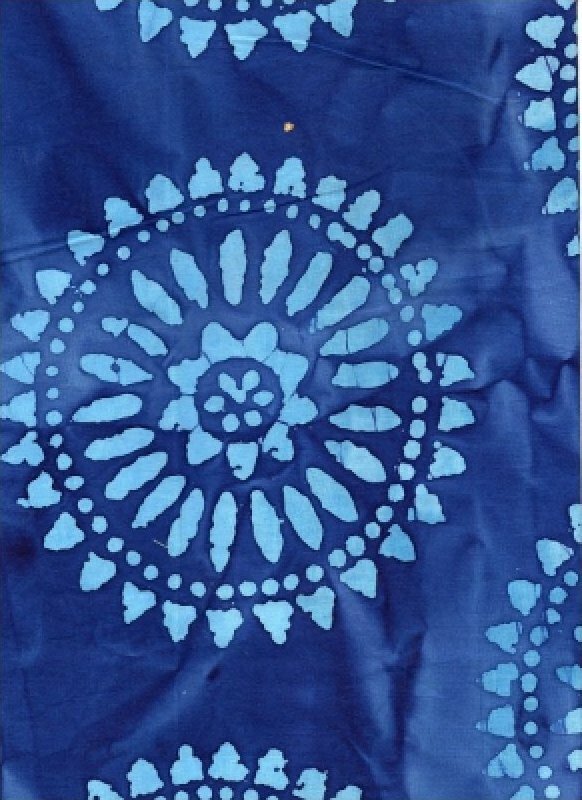 Beautiful royal blue background with sky blue stamped tribal-style medallions. 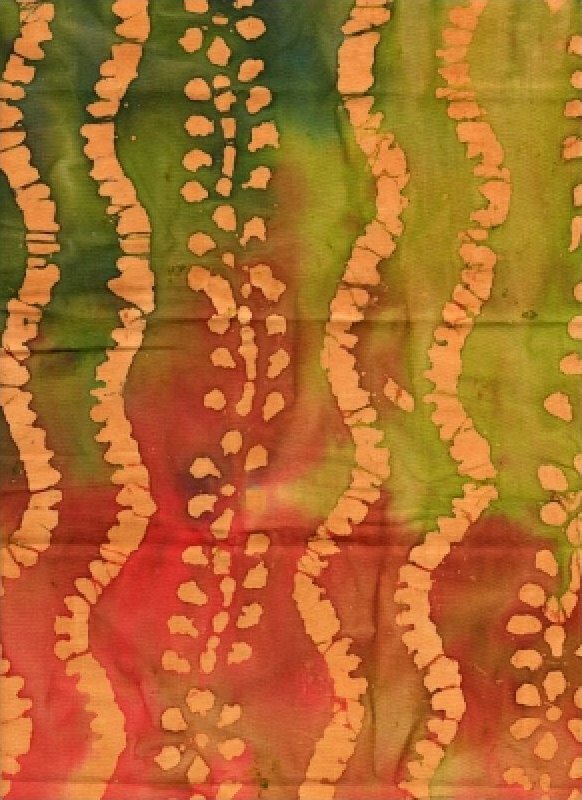 Warm Khaki/Fuscia/Tea-Dye batik background with stamped wavy butterscotch stripes, a beautiful complement to our Tribal Batik Ethnic Medallion fabric (below). 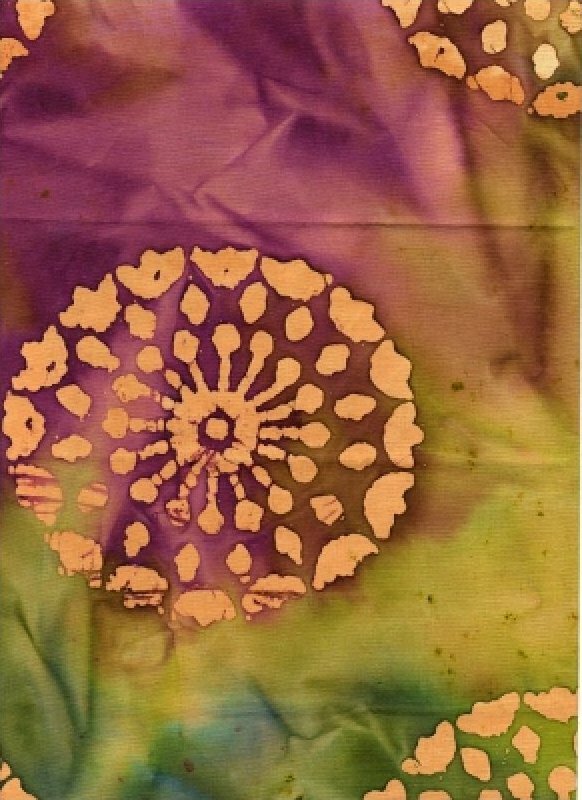 Warm khaki/fuscia/tea-dye background batik with stamped butterscotch medallions. 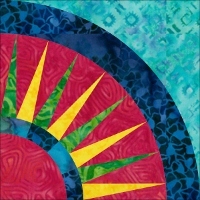 Our Tribal Batik Ethnic Stripe coordinates perfectly with this fabric. 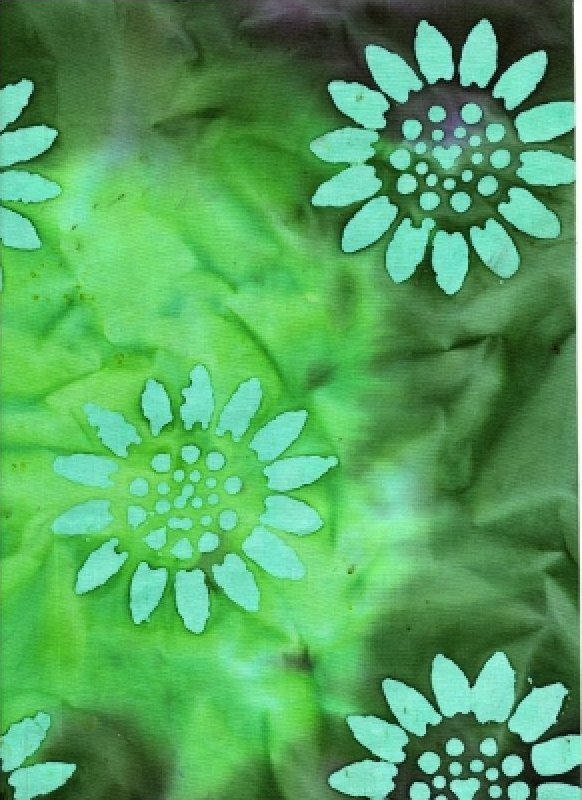 A beautiful green/aqua/purple hand dyed batik background with stamped aqua sunflowers widely spaced.